We can associate sunny summer days with such a view. Holidays are full of beautiful and multicoloured meadows and fields full of multifarious plants. 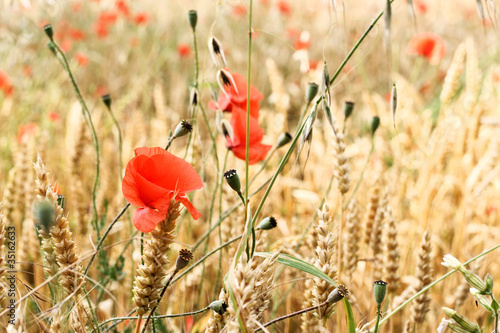 However, nothing can replace the view of red poppies coming out of cereals. A photo wallpaper with a field fantasy will be a perfect addition both for a living room and bedroom.